Options in India: Jobless Growth -Who is to bell the cat? Let's take a handful of media tidbits we see just in the last 48hrs. In contrast, we also have been advised some mantras that could help resolve the situation, if only the HR were to reimagine in a new world, and the onus could be that of an organisation ( see how AT&T chooses to respond), or by the nation. (Singapore's SkillFuture program for job seekers, trainers and employers). I am tempted to recall an article by Prakash Iyer who opined "If you are looking to create an empowered, frontline-focused, passionate organisation, look no further. Take the first step. Turn your organisation upside down"
As a person who has been a ringside observer -of the demand and supply side for the last three decades, I would like to attribute some of the above staffing problems are the result of hiring the wrong people, to begin with. I endorse the statement made by Hayes Drumwright in a recent presentation. "Most often, the people closest to the problem know how to solve it. And it is career limiting for them to tell you." It is a catch 22 situation for a recruiter! 1) The 'typical' annual increment for the best performers is about 12-15% ( and of course subject to the company/division performance/market conditions). And if one were to job hop, the company hiring would entice one by paying a 25-30% hike. Are we not penalising good performers, and encouraging them to look for greener pastures elsewhere? Ironically, instead, companies try to shut the door by enforcing a notice period of 2-3 months that the employee has to service before joining the new employer. In reality, the incumbent now has all the free time to shop around with new suitors, (for a better hike), before even the present employer can conjure up a juicy counter offer! 2) Now over to the demand side. To replace the deserting employee, the hiring manager is in a tearing hurry to get the new person boarded asap, and so doesn't have the luxury of identifying, wooing and attracting a 'passive job seeker'-and so there is a huge demand for those immediately available ( read, hmm..unemployed? ), or those 'serving out notice period', thereby encouraging mercenary attitudes -and compromising competency! Perhaps the learning from this could be - Hire slow. Fire Fast? For that, there is a need for more emphasis on the quality of hire. 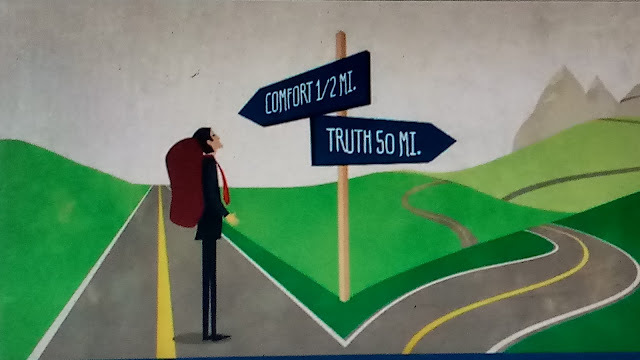 It is perhaps easy to keep track of metrics like time to hire, cost per hire, and turnaround times..( the comfort zone of most Talent Acquisition professionals). How about reckoning the opportunity cost of hire? Facebook perhaps lost $3Billion in not making Brian Acton a hire!! If we are honest with ourselves, we know that getting to the truth of matters is hard, and often incredibly uncomfortable. Look no further than the author who was known for 'fantasies'-there could be some thoughts for us adults to reflect too.